Need Maintenance on Your Air Conditioning? Call Us Today! With summer’s weight bearing down full force here in the Natural State, the last thing you need is problems with your air conditioning system. 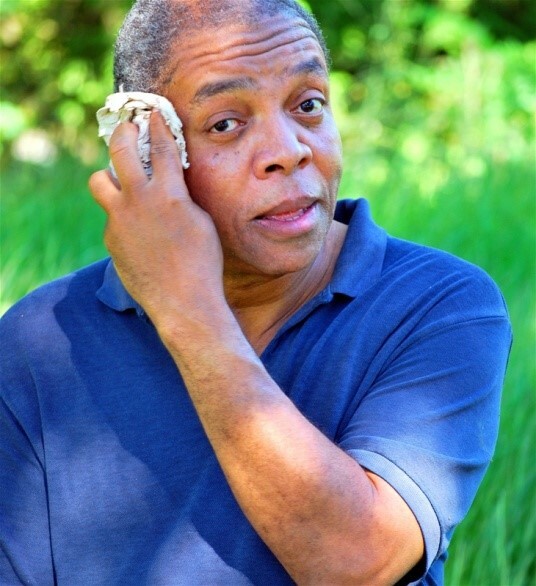 And nowhere is the old saying, “an ounce of prevention is worth a pound of cure,” more appropriate than when you’re doing your best to keep your cool while temps near the triple digits. Low Refrigerant: If your air conditioner is low on refrigerant, either it was undercharged at installation, or it leaks. Leaks need to be repaired by a trained technician and the system them charged to the correct amount for peak performance and efficiency. Just adding refrigerant is asking for trouble. Poor Maintenance: Allowing air filters and A/C coils to become dirty place undue stress on the whole system, the likely result being premature failure of the compressor or fans. Worn Electric Controls: Compressor and fan controls can eventually wear out, and frequent on/off cycles (common in oversized systems) can accelerate that process. Connections and contacts also need to be checked for corrosion. Because these are three of the most critical areas that lead to premature system failure our technicians will pay particular attention to them while inspecting your cooling system.. And keep in mind, if your system fails, it’s likely to do so when you need it most, so if it’s been a year or more since your last service call, you don’t need to put it off. Don’t let summertime get you hot under the collar. Call DASH Heating and Cooling and keep your cool no matter how hot it gets outside. Make your appointment today by calling 501-224 DASH (3274) or use our online contact form (FYI-don’t forget to ask about our Cooling Super Tune Up Special). Air Conditioning Out? Call Us! As summer approaches, there’s nothing more frightening than the thought of having to spend the summer without air conditioning! If the past few summers have been any indication, we’re in store for months of triple digit temperatures, and humidity so thick that the heat literally clings to you when you step outside. As Arkansas’ oldest and most respected HVAC company, we know that a reputation takes a lifetime to earn, and a lot of hard work to keep. Our team has hundreds of years of combined experience, and we make sure that they’re the best trained technicians in the business! You’ve seen this slogan on our service vehicles for years! We know how valuable that your time is, and refuse to inconvenience you with a 4 hour appointment window. Other companies claim to be committed to customer service, but we’re prepared to put our money where our mouth is! At DASH Heating & Cooling,® we understand the importance of forming relationships with our clients, and credit our longevity to large amounts of repeat and referral business. We always guarantee your satisfaction on all sales and service, and we’re not happy with our work until you are! Getting your air conditioning system back in working order is often a lot more inexpensive than you think, but keep in mind that most units have an operational lifespan of 9-12 years. Sometimes it’s a better investment to replace an older unit before you have to because of the increased energy efficiency ratings for the newer units. Whatever the case, we’re always available to schedule a free, no obligation comfort call to evaluate the efficiency of your air conditioning, and make energy efficiency recommendations. If you have any questions, or would like to schedule a comfort call, click here, or give us a call at (501) 224-3274. It won’t be long and summer will be here to see what your home A/C is made of. Your A/C is ruggedly built to last for years in harsh conditions but some problems, if left unresolved, can shorten its life considerably. Drainage Problems: When heat and humidity hit, keep an eye on the condensate drain to make sure it’s draining properly. A blockage could cause the drain to overflow. If it does stop up, turn the unit off and call us. We’ll send a trained A/C repair specialist over to inspect it, clear the blockage, and get your home comfortable again. Outside Fan Not Working: The outside fan moves air over the outside coils to cool the Freon. If it stops working, proper heat transfer can’t happen and your unit could overheat and either trip a breaker or worse, damage the unit. Call DASH to come inspect the unit and fix the problem. Frozen Coil: A frozen coil often indicates an issue with the airflow, such as restrictions caused by dirty air filters or obstructed return air ductwork, or a coolant leak. DASH Heating and Cooling will have someone over to inspect the unit, find and repair the problem, so you can keep your cool. All of these problems are your a/c’s way of calling for help. Other than changing your filters, there are no user-serviceable parts to an HVAC or other type cooling system, so calling a professional is the smart choice. Trying to fix it yourself can make the problem bigger and can injure you or your family in the process. For the best in a/c repair in Little Rock, you can’t beat the professionals at DASH for the most reliable air conditioner service around. Treating our customers right is the only way we know how to treat them, so that’s how we’ve done it since 1939. Routine Maintenance on Your Heating and Air Systems saves you money! As the past few weeks have proven, Arkansas weather is no stranger to extremes! During this time of year, we often wind up running our heating and air conditioning on the same day, and we depend on both for protection from mother nature’s wrath. Change Filters-You should replace your air filter at least every three months, and on a monthly basis during the summer. Inspect vents and ductwork-Household vents should be free from obstructions, so be sure that they’re not blocked by furniture or drapery. Make sure that your vents are blowing a steady stream of cold (or warm) air. Install a programmable thermostat-Programmable thermostats are a great way to lower your energy costs, and since your unit isn’t constantly running, they can add years to the unit’s operational lifespan. Most heating and air units have an expected operational lifespan of 9-12 years, but many homeowners get significantly more years of performance by following a routine maintenance schedule. We recommend having your refrigerant charge checked and having your unit tuned up yearly, whether you’re having problems or not. And if you have an older unit, an upgrade may be more affordable than you think! Today’s heating and air conditioning units are more energy-efficient than ever, and may also qualify you for a utility or manufacturer rebate. If you have any questions, or would like to schedule a free household energy efficiency evaluation for your home, click here, or give us a call at (501) 224-3274. It’s a time-honored tradition that if your A/C conks out, it does so in the hottest part of summer, and if your heating goes out, it’ll go belly up right about the time the polar vortex hits town. When your heating or air conditioning system fails, and they all do sooner or later, it’s always at the worst possible time (although we’re not sure there is a “best possible time”). You use heat and air for comfort in your home or business because you need it, and anytime you need it is a bad time for it to go on the blink. If it’s not working, you want it fixed, and immediately is hardly soon enough. At < a href="http://dashservice.com/">DASH Heating and Cooling, we understand, and for over 76 years, we’ve been helping Central Arkansas keep the outside where it belongs; outside. We do that by helping you maintain your heating and cooling systems so they’ll keep the inside comfortable no matter what’s happening outside. 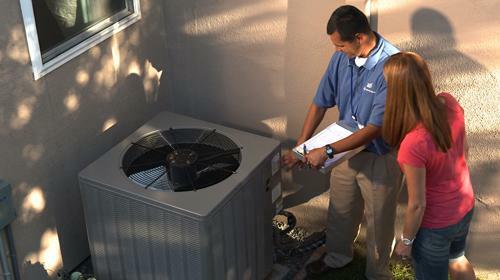 When you need A/C repair, our trained HVAC service crews have the most up-to-date training and the latest equipment to get it running again so you can keep your cool. And if it’s your furnace that’s got you doing a slow burn, call DASH and we’ll get it back on track, fast. If you use a heat pump, don’t worry, we’ve got plenty of experience in heat pump installation and repair also. Because we know how vital these systems are when nature’s extremes make a stop in the Natural State, we offer 24-hour emergency service. Just dial 224-DASH (501-224-3274) and we’ll have a crew dispatched to take care of the problem just as quickly as possible. To head off potential problems, you can become a DASH Club member and enjoy annual maintenance of your heating and cooling systems, 20 percent off service and repairs, emergency service within 48 hours, never any overtime charges, and other benefits as well. Call DASH at 501-224-3274 for all of your heating and air service needs. You can also contact us online and we’ll set you up with an appointment for a service call. Our estimates are free and superior service is our tradition, just like it has been since 1939. Keep Your Heating and Cooling Systems Healthy For Seasonal Extremes! Those of us who have lived in Arkansas for many years know the state has many beautiful attractions and an abundance of natural beauty. Known for extremes in its topography, from the Ozark Mountains, to the Arkansas River Valley, to the Mississippi Delta, a day’s drive can take you from the birthplace of the Blues to the birthplace of the largest retailer in the world to the birthplace of a certain saxophone-playing former president. Arkansas is also known for its temperature extremes too, and with temperatures ranging from triple digits in summer and well below freezing in winter, your home’s heating and air conditioning systems are vital to maintaining a comfortable environment in your home or business. At DASH Heating & Cooling®, we've been keeping Central Arkansas comfortable for 76 years, and we know how critical those systems are as well as the importance of keeping them functioning properly in all kinds of temperature extremes. That’s why we offer a wide range of services from installation and repair to maintenance. Because the most calls for emergency heating and air service happen on days when your systems need to be working their hardest. To make sure your heating and cooling systems are working at their peak, preventive maintenance is the key to keeping your systems running well and avoiding expensive repair or premature replacement costs. To save even more, and to keep your systems on a regular maintenance schedule, DASH has club memberships available with discounts and other benefits! So remember, it’s important to perform scheduled preventative maintenance to make sure that your refrigerant system doesn't have any leaks, your controls are all operational, and your electrical connections are all still secure. Our technical specialists at DASH Heating & Cooling® are the Little Rock air conditioner repair leaders, and are just a phone call away. To schedule a service appointment, give us a call at (501) 224-3274, or click here! Need AC service? Insist on the best! As we begin another Arkansas Summer, and the mercury approaches triple digits, our AC units have a big job to do. Unfortunately, many units may be overdue for service, and not functioning at their full capacity. This is the time of year when most people open their electric bills with fear, and if you’re spending more than you should to run a unit that’s not doing its job, you’re just wasting money. Experience - There’s simply no substitute for experience. All licensed contractors go through training, but the truth is that it takes years in the field to really understand the job. This doesn’t mean that one contractor is better than another simply because they’ve been in business longer, but it does suggest that they are doing something right. Be sure to ask all prospective contractors for recent references. Convenience - Summer is the busy season for AC contractors, but that doesn’t mean that they should let you sit in the heat for days, or overcharge you for a service call. You want a contractor that employs a large enough staff of technicians to quickly handle all service calls during peak season. Value - There’s nothing wrong with getting estimates from more than one contractor, but automatically picking the lowest bidder may be false economy. What corners are they cutting on that low estimate? When it comes to service, You get what you pay for, and hiring the lowest bidder will usually wind up costing you more money if you have to call someone else later to fix what the first guy didn’t. When it comes to experience, convenience, and value, DASH service offers all three. We’ve been in business since 1939, and owe our longevity to large amounts of repeat business. We will happily set up a free, no obligation inspection of your heating and air systems by one of our replacement comfort specialists, and see how we can keep you cool, and keep as much of your money in your own pocket as possible. For more information, click here, or give us a call at (501) 224-3274. Your Air is Not Working -- Now What??? The last thing you want to hear as summertime’s heat and humidity rise to the “sauna” setting Arkansas is known for is the death rattle of your AC unit as it exhales its last cool breath of air. Unfortunately, that’s exactly what some folks in Central Arkansas will be hearing over the next few months as air conditioning units suffering from age, neglect, or mechanical failure cease to function. At DASH Heating & Cooling®, we’ve been keeping Central Arkansas in year-round comfort since 1939, and our staff of professional HVAC technicians are the best in Arkansas for heating and air installation and repair. For heating and air problems in and around Little Rock, DASH Heating & Cooling® is the one to call for fast service and quality repair at a price you can afford. If you need help fast, DASH has 24 hour emergency service too, because we know you don’t just need your air conditioner from 9 to 5. We have club memberships available for guaranteed emergency service within 48 hours even during our busiest times, plus, you also get annual maintenance of your heating and air conditioning systems as well as hefty discounts on service too! So, whether you have a problem right now or want to head off problems before they start, DASH Heating & Cooling® wants to hear from you. Give us a call at 501-224-DASH (3274) or fill out our online request for service and we’ll get back to you with an appointment time. Financing is available, replacement estimates are always free, and don’t forget our DASH guarantee – "We're There When We Say, or You Don’t Pay!" Need HVAC Repairs in Arkansas? Five Things to Know. Another hot Arkansas Summer is approaching. Are you ready? Our team of comfort specialists at DASH Heating & Cooling® are Central Arkansas’ leading specialists in central air repair service and heat pump repair, and we’re always a phone call away. But there are a number of things that you can do on your own to maximize the efficiency of your heating and air conditioning systems. Now’s the time to prepare for the summer, and you can start with these tips. 1 Let it flow! 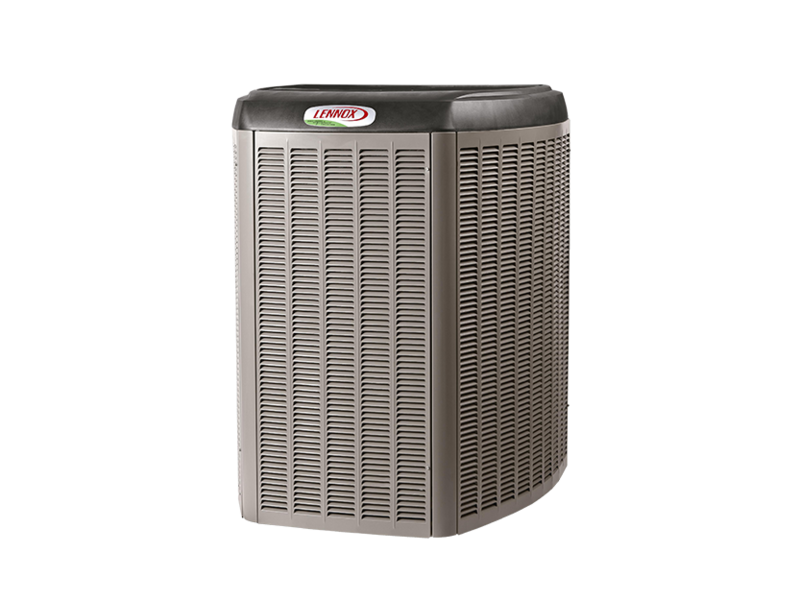 Airflow blockage is one of of the most frequent problems in air conditioner performance, and also one of the most easily solved. Check all of your vents, and make sure they aren't blocked by furniture or household clutter. Clear leaves and debris from your outside unit, and make sure to prune back hedges or nearby vegetation. 2 Don’t make your unit work so hard! During the summer months, hardware store air filters should be changed on a monthly basis. You can also make a significant difference in the household temperature by drawing the curtains and placing household fans in high-traffic areas. 3 Consider a programmable thermostat. Programmable thermostats save you money by adjusting the household temperature during times when you are asleep or at work. 4 An ounce of prevention... Even if you’re not having a problem at the moment, even the most dependable units need a tune-up yearly. You should have your insulation and ductwork looked at every few years for potential problems, and have your refrigerant charge checked on an annual basis. 5 An upgrade may be more affordable than you think. Replacing your unit may feel like an extreme move, but it could actually pay for itself over a few years. The current generation of heating and air conditioning units are more affordable, more energy-efficient, and more environmentally-friendly than ever. 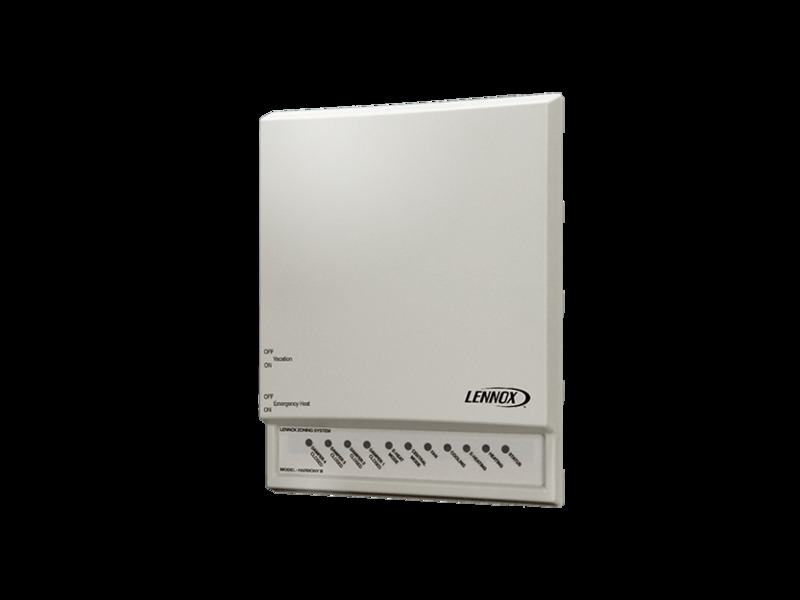 And a new unit may also qualify you for a utility or manufacturer rebate. If you have any questions, or if you would like to set up a free, no obligation inspection of your heating and air systems by one of our comfort specialists, click here, or give us a call at 501-224-3274. DASH Heating & Cooling® is the leading AC repair service in central Arkansas, and we’d love to add you to our long list of satisfied customers! When it comes to installation and repair of your HVAC system, DASH Heating & Cooling® has been helping Central Arkansas keep its cool even in the hottest summer months for the past 76 years, and in that time we've learned a few things. For one thing, HVAC systems are typically the greatest consumer of energy in your home, so keeping your system in top shape with routine maintenance makes sense as it saves dollars. Due to the expense involved, the HVAC technicians at DASH Heating & Cooling® want to make sure you make the best choices possible, because making a poor decision can cost you money up front and for years after. These three facts about HVAC installation and repair can save you a lot of money. 1 Decisions, decisions / Repair or Replace? – If you're facing a major repair bill on your HVAC system and it's 9 years old or more, you should probably consider replacing it instead. Newer units are far more energy efficient and the cost will likely be mitigated by lower monthly energy bills. Make sure to factor in the difference when you punch in the numbers for your repair/replace calculation. 2 Maintenance pays so you pay less – People generally notice their HVAC system when it fails, which, if it happens it's almost always at the worst possible time. A good HVAC system should last about 10 years and require minimal repair. A regular preventative maintenance regimen can make it last much longer, commonly 12 to 13 years with some even running with no major problems for 15 years. Regular maintenance can head off premature (and expensive) repair/replacement bills. 3 Select a professional to help – There's no substitute for experience and the HVAC professionals at DASH Heating & Cooling® can examine your system and recommend a course of action. We do full HVAC systems, AC installation and repair, heat pump installation, programmable thermostat installation, service your air ducts, and nobody beats our emergency repair service. The blowtorch intensity of Summer is just around the corner, and the last thing you need is for your AC unit to conk out just when the going gets tough and the mercury heads up and up and up. To avoid Summer's knockout punch, put DASH Heating & Cooling® in your corner, and we'll help you put the dog days of Summer down for the count. Whether you need AC installation or AC repair services, our qualified, courteous, professional technicians at DASH Heating & Cooling® are at your service. Give us a call at 501-224-DASH, or contact us online, and tell us what you need. We'll set up an appointment and have you ready to face the Summer sun in no time at all. Should the unthinkable happen and your AC unit conk out, call 224-DASH anytime, day or night, and we'll have an emergency AC repair service team headed your way just as soon as possible. Even better, we have club memberships available to help you keep your heat and air unit running at peak efficiency with regular checkups, service discounts, and other club benefits. When staying cool is the game, DASH Heating & Cooling® is the name to remember. We've kept central Arkansas cool, calm, and collected every Summer since 1939 with service and quality that keeps clients coming back for all of their heating and cooling needs. In fact, we've got clients we introduced to air conditioning back in the day whose children and grandchildren still rely on DASH Heating & Cooling®. The only way to earn that kind of loyalty is by putting clients first. Is your air conditioning unit ready for the demands of summer, or has it seen better days? Is the coolant circulating through its aging coils old enough to remember 8-tracks or cassette tapes? Is the sight of your thermostat through a curtain of sweat raining off of your brow starting to give you a case of the "hot and bothered?" With summer just around the corner, this is no time for your AC unit to be making you hot under the collar, not with DASH Heating & Cooling® just a phone call away! Whether your unit needs a helping hand or the heave-ho with a shiny new replacement, call us at 224-DASH and we'll be on the way, ready to handle any AC problem large or small. Need air conditioner repair? Call 224-DASH and we'll be on our way, ready to replace a wire, a coil, or anything up to an entire unit. Need air conditioning service? Call 224-DASH and we'll be there in a flash to inspect your AC unit and perform any needed maintenance. Want to stay comfortable and save on AC bills too? Call 224-DASH and ask about installation of a programmable thermostat. And if Galloping Gertie has blown a coil and is down for the count, you need help and you need it NOW. Call 224-DASH and you’ll know why our customers keep coming back year after year. Since 1939, DASH has been keeping our customers comfortable year-round, and whether the job is large or small, residential or commercial, your satisfaction is our goal. So give us a call at 224-DASH (that's 501-224-3274) or contact us online and we'll help you avoid those summertime blues! 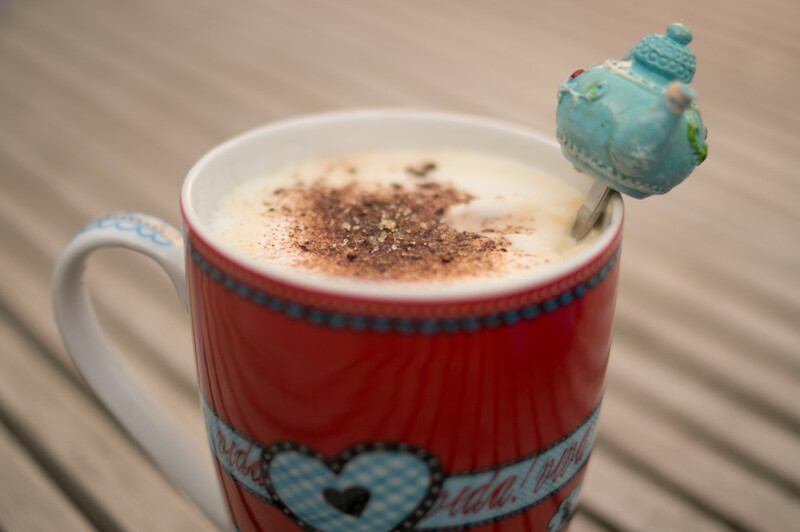 There's nothing quite like enjoying a hot cup of cocoa in the warmth and comfort of your home with the ones you love. That might sound overly saccharine to some, but it won't be so corny if your heating system fails on you when you least expect it. Heating system repair is not something you want to put off. Being stuck in a cold house isn't enjoyable for anyone and, sometimes, it can be downright threatening. 1 Carbon monoxide leaks claim an average of 170 people a year and some of those casualties are due to poor heater maintenance. 2 Like any machine, one overlooked problem can lead to further malfunctions that could've been prevented before said problem became a serious problem. Your furnace is no different. 3 Inspection and minor repairs will keep you from having to shell out your hard earned cash for a new system. With the drastic temperature lows we've experienced in our Natural State, why endure another freezing night when you can rest and sleep easy knowing your heating system can match anything icy Mother Nature throws your way? Since 1939, DASH Heating & Cooling® has been setting the bar as the go to guys for full-service heating and furnace repair in Central Arkansas. We earned our accreditation from the Better Business Bureau and our guarantee of "We're there when we say, or you don't pay" is a statement we proudly stand by. 1 Worried about how much the average heater repairman will charge for your furnace repair? We have specials to help ease those worries and a club where members can receive 20% discounts on heating repairs and services, annual maintenance on your heating system, and more. 2 Even the most prepared homeowner can experience an emergency with their heating, but it's nothing we can't fix. We have 24 hour emergency services that will be there when you need us the most. 3 Even with all these deals, let's say you still have money woes. We have partnered with GE Capital Bank, Service Finance Company, and others to provide our clients with the best financing option available. Call us at 501-224-3274 or contact us at our webpage to find out what DASH Heating and Cooling can do for you. In terms of time of year, it's the ideal season to replace your heat pump if you've been putting it off, which is the case for several reasons. Financially, it won't be as much of a blow during a time of year when we generally have lower electric bills. Also regarding the expense, it has been proven time and time again that having a more energy-efficient heat and air unit reduces bills year-round. And you will achieve higher efficiency with just about any modern heat pump. In fact, our expert installation crew at DASH Heating & Cooling® will make sure of it. 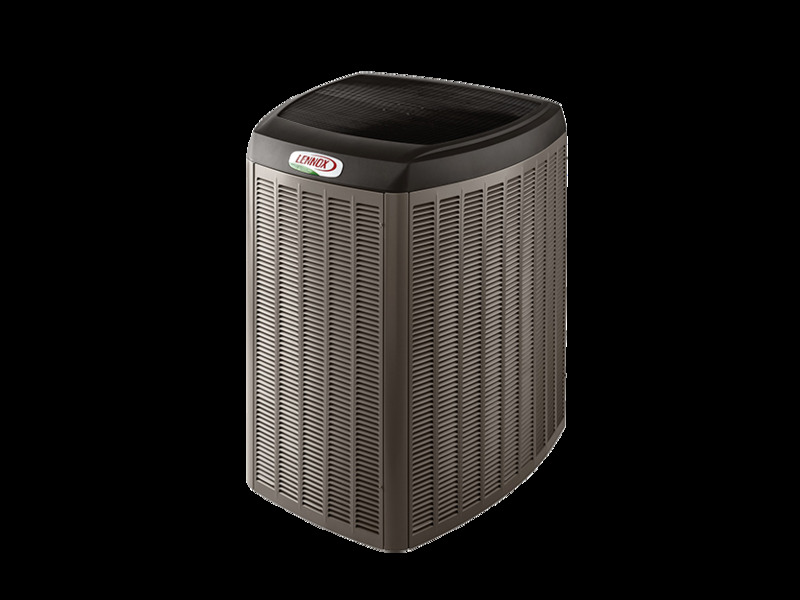 We'll help you choose the appropriate heat pump for your cooling and heating unit. And we guarantee your satisfaction, just as we have for the past 75 years. Here are some advanced features improving performance of today's heat pumps. 1 Inverter compressors allow heat pumps to operate to the exact heating or cooling capacity needed at any given time, as opposed to standard compressors that can operate only at full capacity. This feature results in significant savings and cuts down on compressor wear and tear. 2 Some models have variable, or dual-speed, motors on blowers (indoor fans), outdoor fans, or both. The controls help keep air circulating at a comfortable rate, which reduces drafts, saves you money, and decreases noise from blowers operating at full-speed. 3 Heat pump technology also has adapted the scroll compressor, consisting of two spiral-shaped scrolls with one fixed and the other circling around it. This design compresses refrigerant by forcing it into smaller and smaller spaces. Scroll compressors are reported to last longer and operate more quietly than standard piston compressors. 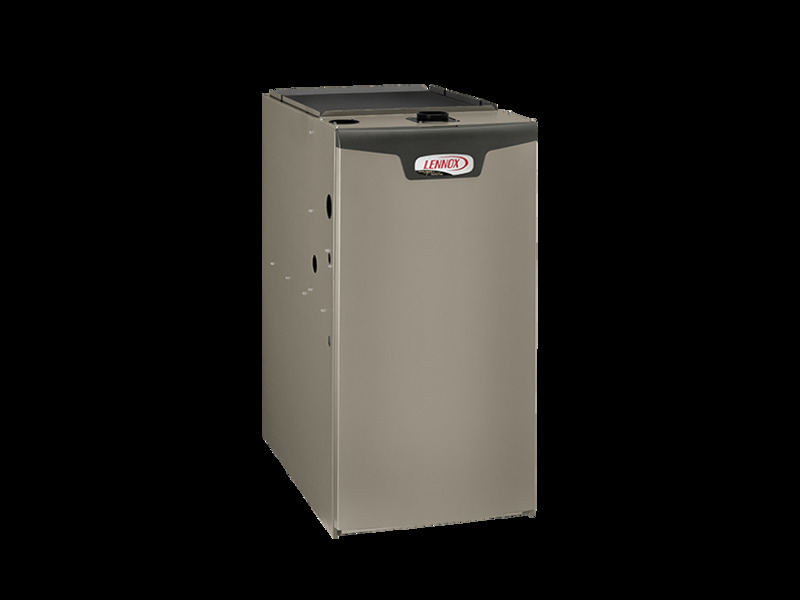 4 Some heat pumps are coupled with furnaces used to provide backup heat during cold weather. Most heat pumps use electric resistance heaters for this purpose. But back-up furnaces help to keep the heat pump from dispensing relatively cool air during cold snaps – and reduce energy consumption. Call the experts on heating and cooling units today at 501-224-DASH (3274). Or click here for more information, including a free estimate or service request. Though we're just beginning to feel the chilly evening air, it won't be long before we're forced to turn on the heat, while some cold-natured folks already have. If you have cranked up your heating system, you may have discovered you need home heating repair. With colder weather about to set in for good, now is the time to address the problem. DASH Heating & Cooling®'s professional team will find the issue and take appropriate steps to perform your heating system repair with timely and comprehensive service. For those who haven't turned on the heat – or didn't check your system beforehand – it's always a good idea to make sure it's ready for use. 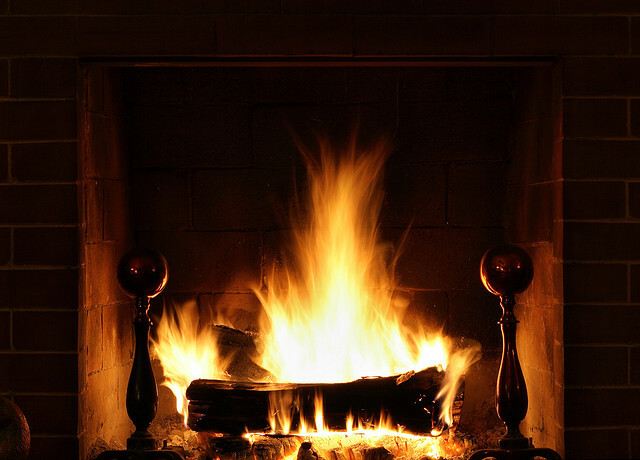 You want to be sure it's equipped to provide a toasty (and energy efficient) environment for the cold-weather season. 1 First, check to see if it is working properly and efficiently by having the system tuned up and a safety inspection by a licensed and trained company. Contact a professional contractor if you suspect a problem, who will determine if it's time to replace your system with one suited to your needs. Obviously, you don't want to endure any amount of time with no heat during cold weather, so why wait? 2 Initial preparation can be as easy as replacing the old filter. 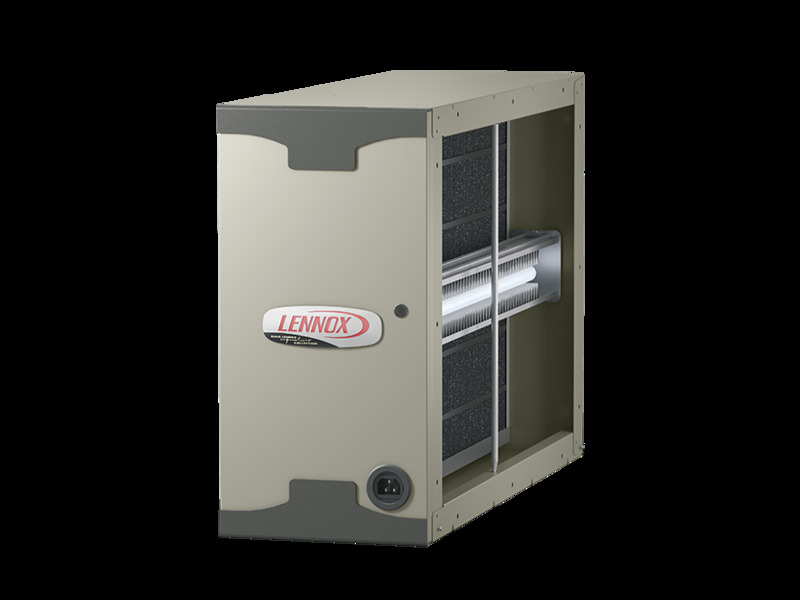 Consider upgrading to an air cleaner versus a big box store filter that will keep your system cleaner and extend its life. 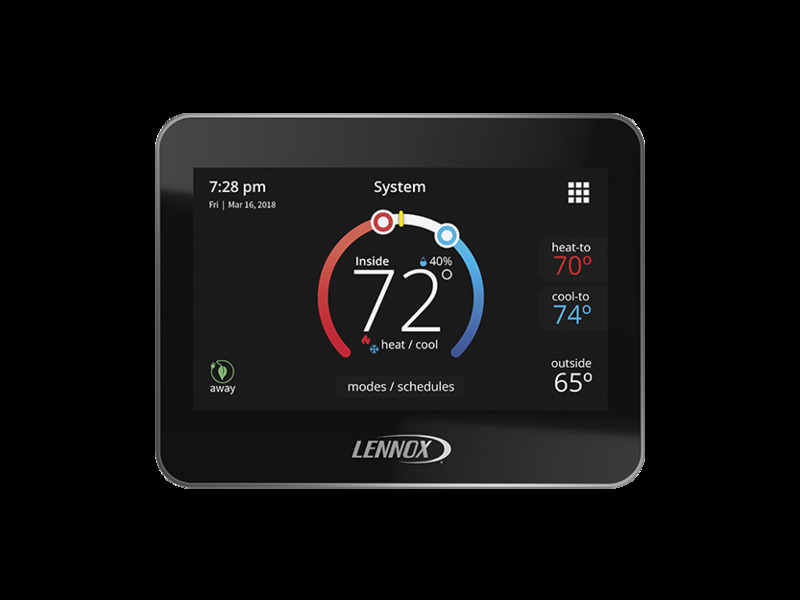 3 Because older mercury thermostats are more likely to be inaccurate, it may be time to upgrade to a digital thermostat. They ensure accurate temperatures and can be programmed to automatically turn off, saving energy while you're away. 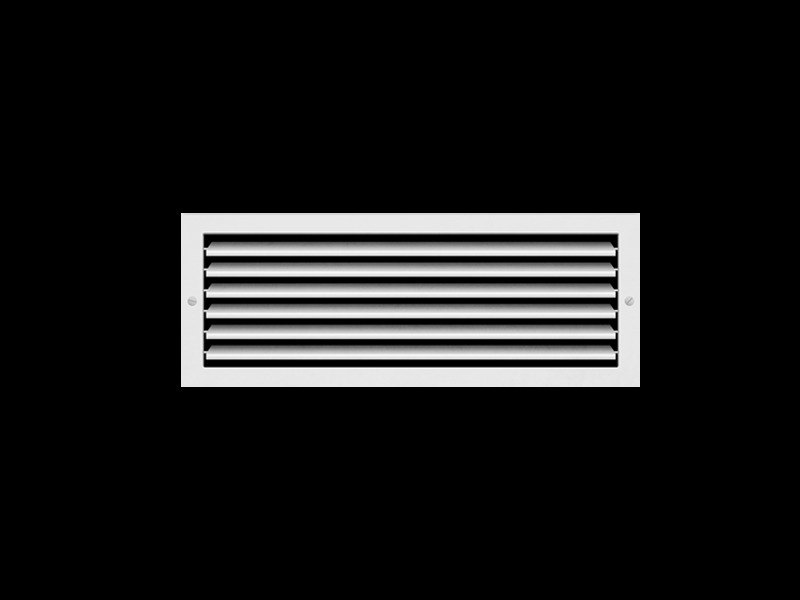 4 Clean the system's heating ducts to increase efficiency and provide fresh, clean air. Look for punctures, dents, disconnected parts, or other damage that wastes warm air. 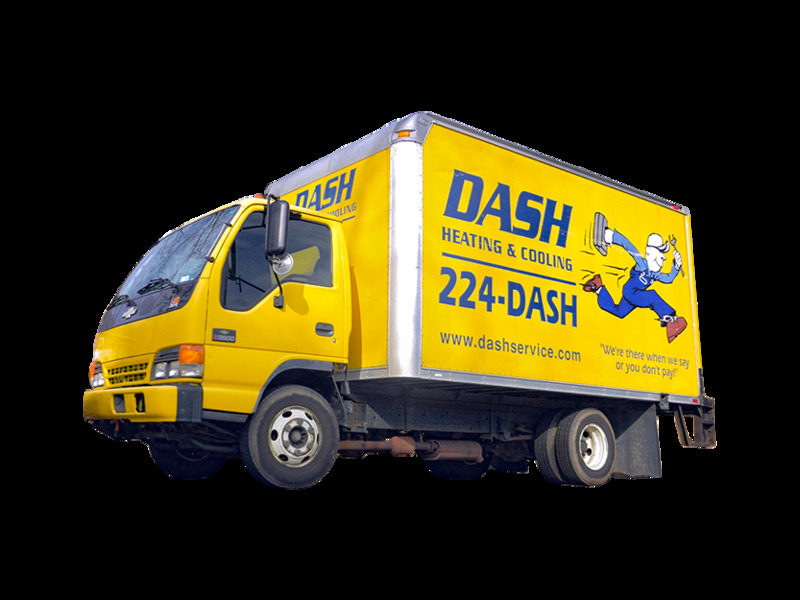 DASH not only stands behind our work, we have the knowledge acquired by providing quality heating and air conditioning repair in Central Arkansas since 1939. Call 501-224-3274 to discuss your commercial or home heating needs. Or contact DASH online for more information. As the colorful leaves begin to fall, signs of autumn are emerging already. But native Arkansans know better than to be lulled into a false sense of security. And by "security," we mean the financial sort – the kind achieved when you finally turn off the A/C that last time. While it may be short-lived, southerners love that sweet spot during the year – when the sweltering heat is over, but the chill hasn't set in for good. Unfortunately, we're not there yet, so you may find yourself in need of air conditioner repair. Although we're confident you’ll be satisfied with the service DASH Heating & Cooling® provides, it's always wise to do your homework before hiring any company to perform work in your home or business. Make sure the unit contains the correct amount of refrigerant. Use a leak detector to determine if there are refrigerant leaks. If refrigerant must be removed, make sure it is captured – not illegally released into the air. In central systems, check for sealed duct leaks. Measure evaporator coil air flow. Make sure the system is set at the correct electrical control sequence, and that the heating and cooling systems cannot operate at the same time. Tighten and clean connections and inspect electrical terminals. Verify electrical components are not pitted and within manufacturer’s tolerance ratings. Oil motors, checking belts to be sure they're in good condition. DASH is committed to performing superior work for reasonable prices. 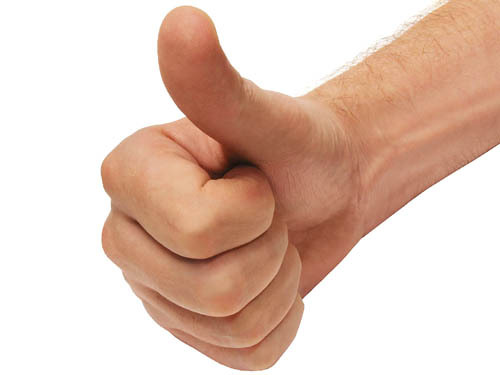 We stand behind our heating and air conditioning repair service guarantee: "We're there when we say, or you don’t pay," or we will provide our evaluation free. We know your time is valuable – we also want to continue building long-term customer relationships. If you need air conditioning or furnace repair, contact a full-service heating and air conditioning company with a 75-year-old family tradition. Call 501-224-DASH, or click here for more information. Even with a mild July, our Arkansas heat is still unbearable. 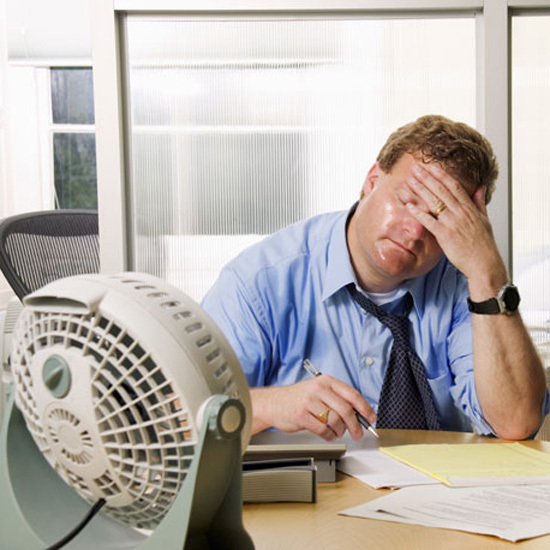 Keeping your home or business cool is paramount for productivity at work and relaxation at home. If you are searching for air conditioning repair in Little Rock, you've come to the right place. DASH Heating & Cooling® is a reputable air conditioning service, serving central Arkansas for over 75 years. Our Club Memberships provide customers with the piece of mind that we'll keep them in the cool during the summer and warm during the winter. If your unit is already broken and you need air conditioner repair right away, please click here to contact us. 1 The air filter inside your home should be changed every 30 to 60 days, more often in the summer. A dirty air filter restricts the flow of air into the unit and degrades performance, which will also increase your utility bills. Pets in your home, construction going on in your neighborhood, and the overall air quality in your home should be factors to help you decide when is the best time to change the filter. 2 Unless your duct system is properly sealed and an air cleaner is used, as opposed to a standard big box store filter, the inner coil on your unit should be cleaned at least every two years. Trash and particulates will collect on the coil and cause it to not function at full efficiency. 3 Inspect your duct work. Leaks or disconnected ducts can cause a serious loss of efficiency. Don't use duct tape! Call us if you find a problem with your ducts, and we'll use a top quality sealant to keep everything running smoothly. 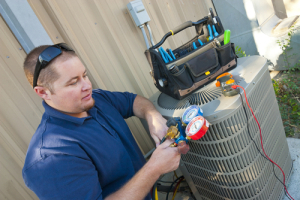 Air conditioning service and repair are one of our specialties for both residential and commercial customers. 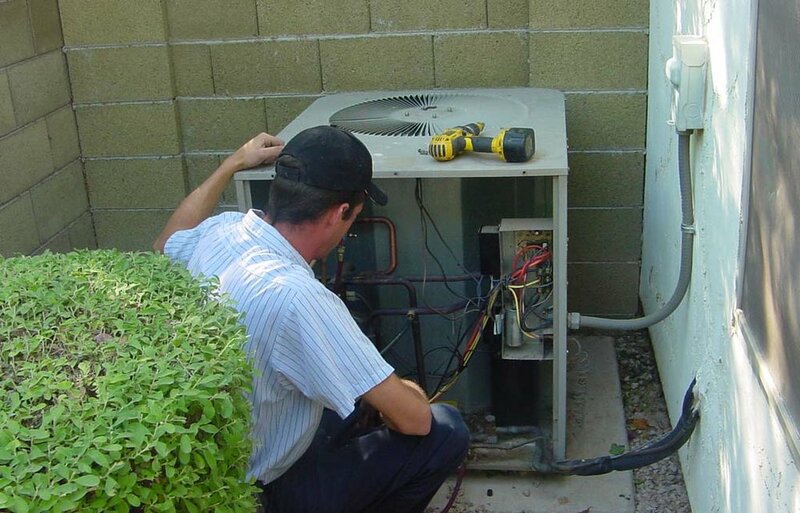 Don't wait until it's too late to get your A/C unit inspected or repaired. Sign up today for our Club Membership to get the piece of mind that our members enjoy year after year.